1/2019 Read Chris Hadnagy's discussion with Dark Reading's Steve Zurier on ways to deal with BEC attacks. 9/2018 Read NY Times' Stephen Hiltner interview with Chris Hadnagy, CEO of Social Engineer, yes, he is one of the good guys. 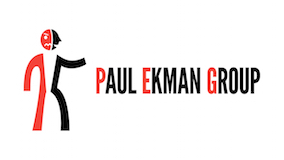 8/2018 Dark Reading's Kelly Sheridan discusses with Chris Hadnagy the greatest risk for BEC. 5/2018 CBR's Umar Hassan interviews Chris Hadnagy on the current risk of SE-based threats. 4/2018 Business Insider's Shana Lebowitz interviews Chris Hadnagy on the kinds of verbal and nonverbal behaviors to watch out for during the testimony. 4/2018 Business Insider's Shana Lebowitz interviews Chris Hadnagy on the facial expressions on Zuckerberg during the Congressional Hearing. 11/2017 Rob Sloan interviews Chris Hadnagy on his book "Unmasking the Social Engineer", which just won the People's Choice Award in the Cybersecurity Canon. 4/2017 Dark Reading's Kelly Sheridan interviews Social Engineer's Chris Hadnagy and Michele Fincher on how hackers are targeting employees. 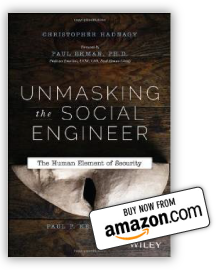 9/2016 Read this great review of Chris Hadnagy's book Unmasking the Social Engineer, The Human Element of Security by PaloAlto Networks' Ben Rothke. 8/2016 Listen to the RedZone podcast by Bill Murphy and his discussion with Chris Hadnagy, Social Engineer Inc's CEO. 8/2016 Read CNBC's Jennifer Schlesinger and Andrea Day's article where they interview Chris Hadnagy on the potential danger of posting pictures on social media. 6/2016 Read the discussion with Maricel Rivera of Business.com and Chris Hadnagy, CEO of Social-Engineer, Inc.
2/2016 Business Insider's Dan Turkel interviews Social Engineer's CEO Chris Hadnagy on the email fraud schemes this tax-filing season. 9/2015 Keri of KeriBlog.com interviews Social Engineer's Chief Influencing Agent, Michele Fincher in a 3 part series; Read Part 1. 9/2015 US News Money senior editor Kimberly Palmer interviews Social Engineer, Inc. CEO, Chris Hadnagy on how Identity thieves are getting more sophisticated; but smart consumers can still outwit them and keep their money safe. 9/2015 SC Magazine's Robert Abel interviews Chief Human Hacker of Social Engineer LLC on how a company could protect themselves from these scams being effective. 8/2015 CSO's Steve Ragan discusses the SECTF contest happening at DEFCON 23 in the SE Village. 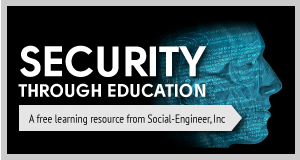 5/2015 Enterprise Tech's Alison Diana interviews Social Engineer Inc.'s Chris Hadnagy and Michele Fincher on how corporations can protect themselves from the growing threat of social engineering. 4/2015 Check out Ben Rothke's review of Chris Hadnagy and Michele Fincher's new book on the RSA Conference website. 4/2015 Virtual Strategy Magazine discusses the upcoming SC Congress Event in Toronto, Canada, where Chief Influencing Agent at Social-Engineer, Inc., Michele Fincher will be speaking on, "Don’t take the bait! 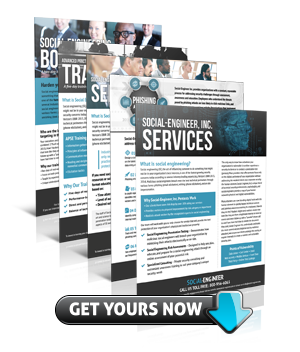 Defending your resources against phishing and other social engineering attacks." 4/2015 Cosentry discusses the St. Louis event on April 29th where Chief Influencing Agent at Social-Engineer, Inc., Michele Fincher will speak on "Social Engineering: What Your Firewalls Don't Tell You." 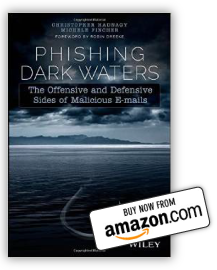 4/2015 IT World Canada's Howard Solomon discusses with Social Engineer, Inc.'s Michele Fincher and Chris Hadnagy on their new book "Phishing Dark Waters: The Offensive and Defensive Sides of Malicious Emails"
3/2015 Amanda Schupak of CBS NEWS interviews Chris Hadnagy, CEO of Social Engineer, Inc and Co-Author of the new book "Phishing Dark Waters: The Offensive and Defensive Sides of Malicious Emails"
3/2015 Business Insider's Colin Campbell discusses with Social Engineer Inc.'s body language expert, Chris Hadnagy on Hillary Clinton's Interview. SourceCon Meet the Speaker Series: Michele Fincher of Social Engineer, Inc.
3/2015 SourceCon's Jeremy Roberts interviews Michele Fincher, Chief Influencing Agent of Social Engineer Inc. See her at SourceCon 2015 in Seattle, on March 25th. 3/2015 Mike Holfeld of WKMG local 6's ClickOrlando.com, interviews Chris Hadnagy, CEO of Social Engineer Inc.
Social Engineering at the Superbowl, Two Irish men easily defeated the complex, coordinated security efforts at the Superbowl with nothing more than a smile. What can security leaders learn from their sneak-in success? SOTU: Will Obama's Cybersecurity Proposals Actually Protect You? After 'Utter Devastation' of Sony Hack, Experts Ask: Who's Next? 12/2014 NBC News' Julianne Pepitone talks to Social Engineer Inc.'s, Chris Hadnagy on the Sony Hack. 9/2014 DARK READING RADIO, Kelly Jackson Higgins interviews Chris Hadnagy, Chief Human Hacker on How to Hack a Human and SECTF revelations??? 7/2014 The Economist asks Chris Hadnagy about the often-ignored basics of security. 7/2014 Time's Eric Barker in his article references the book "Social Engineering: The Art of Human Hacking"
6/2014 INC's Yolanda Lu and Social Engineer Chris Hadnagy gives suggestions on how to protect online safety from a hacker's perspective. 6/2014 eSecurity Planet's Drew Robb interviews Chris Hadnagy in this article about how Hackers see HR as an easy – and valuable – target. Educating HR staff is a key defense. 5/2014 Reuters' Jim Finkle interviews Chris Hadnagy in this article. 4/2014 CSO's Stacy Collett interviews Chris Hadnagy in this article on how Social engineering thugs have reached new lows, as gangs play on users’ fears of privacy loss, theft and even death. 4/2014 FierceIT Security's Derek C. Slater interview Chris Hadnagy and covers some of the book, "Unmasking the Social Engineer: The Human Element of Security"
4/2014 RSA Conference's Christopher Burgess reports on the session "When the Phone Is More Dangerous Than Malware" hosted by Christopher Hadnagy and Michele Fincher. 4/2014 RSA Conference's Ben Rothke discusses Chris Hadnagy's book, "Unmasking the Social Engineer"
10/2013 Implications for businesses derived from the 2013 SECTF report. 9/2013 CSO's Steve Ragan consults Chris Hadnagy in this article. 9/2013 Queena Kim interviews Chris Hadnagy about the modern use of social engineering. 8/2013 In case you are living under a rock, and haven't heard - this year our resident human hacker really piled on the awesome at this years DEF CON. 8/2013 DEF CON SECTF was featured as a popular and fun event at this years DEF CON 21. 4/2013 Chris presented "Social Engineering: The Art of Human Hacking" at a security seminar with partner Asgent in Tokyo Japan. For more information check out Asgent's Press Release. HyperVocal interviews hacker-turned-Internet security consultant Chris Hadnagy regarding the much-publicized hacks of 2011. 3/2012 Chris Hadnagy was asked for examples of some of his favorite social engineering scenes as portrayed in film. These movies offer an entertaining way to understand how social engineering works. 5/2011 I recently talked with Chris Hadnagy, aka loganWHD, who focuses on the "human" aspect of technology such as social engineering and physical security. Hadnagy, @humanhacker, is the operations manager of Offensive Security and a lead developer at social-engineer.org. He also authored a fascinating book titled, "Social Engineering: The Art of Human Hacking. 9/2010 Chris "loganWHD" Hadnagy and Jim "Elwood" O'Gorman from Social-Engineer.Org, are asked some questions about their findings from the DefCon 18 SECTF report. 7/2010 FBI said to be satisfied with restraints placed on contestants seeking to gain data from corporate workers using social engineering techniques.